** Customer must supply leg band at least 4 weeks prior to scheduled delivery. Be advised that the combined weight of the PTT and leg band will exceed 22 grams. 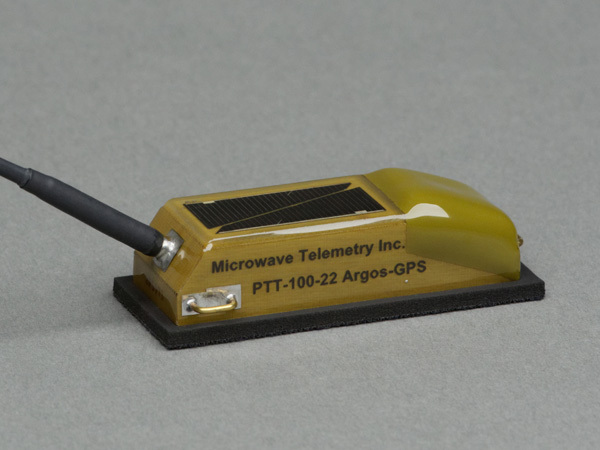 The Solar Argos/GPS 22g PTT is an adaptable, lightweight model, especially useful for species that can greatly vary in size or that may be on the weight threshold of using our popular Solar Argos/GPS 30g PTT model.